AirAsia X Berhad is an arm of the AirAsia group and an airline based in Malaysia that flies long haul international flights. It is a low cost carrier and started operations in 2007 with a flight from Kuala Lumpur International Airport to Gold Coast Airport, Australia. It uses klia2, the budget airline terminal at Kuala Lumpur International Airport as its hub and the company is headquartered in Sepang, Selangor, Malaysia. It has one of the lowest operating costs for mid and long haul flights as it shares aircraft livery, uniforms, ticket systems and management styles with the rest of the AirAsia brand. Tony Fernandes, the co-founder and owner of the AirAsia group announced plans to fly from Malaysia to Australia in 2007. It chose to focus on routes to Melbourne's Avalon Airport, Adelaide Airport and Williamtown Airport in Newcastle. It chose to avoid flying to Sydney Airport due to high airport fees. Sir Richard Branson of the Virgin Group took up a 20% stake in the company to help it start its long haul operations and finance aircraft purchases. Forming a partnership with the Virgin group aimed at a long term partnership including codeshare agreements and shared loyalty programs with Virgin Blue. The first aircraft was delivered to Kuala Lumpur International Airport on 15 September 2007. AirAsia X started life as FlyAsianXpress which was based out of Sarawak, Malaysia. The airline was primarily a rural service airline operating smaller routes that were discontinued by the national airline, Malaysia Air. FlyAsianXpess was owned by Tony Fernandes and other Malaysian businessmen Kamarudin Meranun, Raja Razali and Raja Azmi. It was subcontracted by AirAsia to operate these domestic routes within East Malaysia after Malaysia Airlines ceased flying them. FlyAsianXpress did not start out as a low cost carrier but took on some practices of AirAsia like online booking and ticketless check in to reduce costs. After numerous complaints of bad customer service including delayed flights, cancelled flights and overbooking, the airline decided to hand over the routes to Firefly, a subsidiary of Malaysia Airlines. Malaysia Airlines announced that it will take over operation on these domestic routes in 2007 through the establishment of a new subsidiary airline, MASwings. 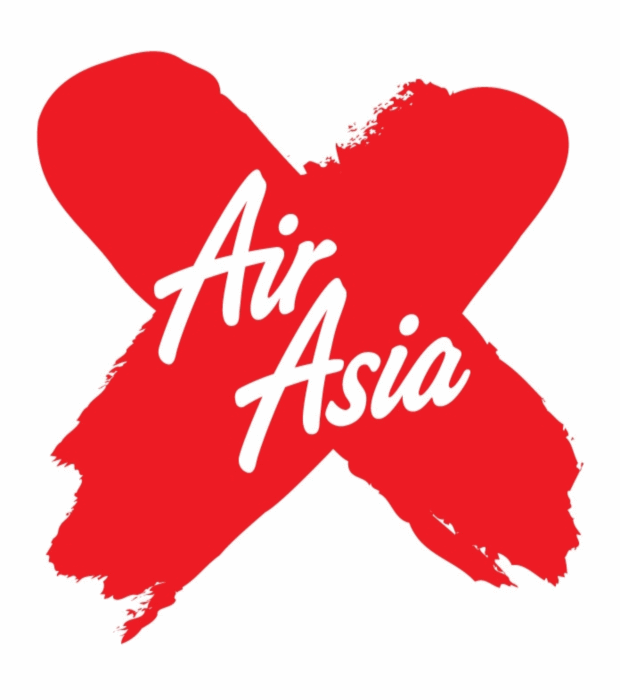 After the rural services were taken over by Malaysia Airlines, FlyAsianXpress changed its name to AirAsia X and announced a renewed focus on long haul low cost flights. AirAsia X is part of the AirAsia group and operated by Tony Fernandes, Azran Osman Rani and Tan Sri Rafidah Aziz who is the chairman of the group. There are several shareholders in the company with 48% of the company owned by Aero Ventures which is a venture of Tony Fernandes and other Malaysian businessmen in conjunction with Air Canada's Chairman Robert Milton. Virgin Group owns 16% of the company and 16% is owned by AirAsia. Bahrain based Manara Consortium and Japan's Orix Corp also have a 20% stake in the company. The company also introduced an IPO on the Bursa Malaysia and managed to raise $310 million. This money is planned to be used for expansion of routes, especially from Bangkok to South Korea and Japan after Thai government approval. It is also trying to establish itself as a long haul airline in Indonesia and has applied for the Air Operator Certificate in the country that is needed for starting operations. It is headquartered in Sepang, Selangor, Malaysia and is the largest low cost airline in Malaysia. It keeps its costs down by sharing management between the different arms of the AirAsia group. AirAsia X currently flies to 19 airports around Asia, Australia and Europe. In 2011, it started operations to six new destinations - Jeddah, Istanbul, Beijing, Shanghai, Osaka and Sydney. It is focused on increasing its presence in China with flights planned to Xi'an, Wuhan and Shenyang. It has plans to fly new routes to Africa which is announced in 2009. It also wants to expand further into Japan and Australia. AirAsia X had routes that flew into Delhi, Mumbai, London and Paris but these were axed due to weak demand, high fuel prices and large taxes. It also introduced a flight from Kuala Lumpur to Sydney in 2012, after initially hesitant to fly into Sydney due to high airport taxes. AirAsia X also plans to introduce more flights to South East Asian destinations including Brunei. AirAsia X had to stop flying to Tehran and Abu Dhabi citing increasing costs that made it unfeasible to keep the routes. AirAsia X has a fleet of 21 aircraft that have an average age of 6.6 years. It has 19 Airbus A330s that can carry 377 passengers. They have six of these leased from ILFC Indonesia, AirAsia X, Thai AirAsia X and Malaysia AirAsia X. They have put in an order of 39 more of these aircraft and have options for adding 10 more It also has 2 Airbus A340 which are not in operation and are stored until further notice. One of these is painted in Oakland Raiders livery. They have also ordered 10 Airbus A350-900s and have an option for 5 more. These sit 425 passengers. They have signed a memorandum of understanding with Airbus for 50 A330-900neo aircraft that is very fuel efficient and will further decrease their operating costs. AirAsia X is part of the AirAsia group. The AirAsia group is working with financial services firm Tune Money to set up its loyalty and frequent flyer program to be called "BIG." Additionally, as part of the partnership with Virgin Group, there are plans for a shared customer service program between Virgin Blue and AirAsia X. These points will be redeemable across flights offered by the entire AirAsia group. AirAsia X offers snacks and drinks on flights for purchase through its "Snack Attack" program. While AirAsia flights do not carry alcohol, AirAsia X has beer and wine that can be bought on board.AirAsia X has an in flight entertainment ocalled Xcite which features personal television units on the back of seats. Stay in touch with the recent news on schedule changes, new routes and latest promotions. We won't pass on your details to any other company and you can unsubscribe whenever you want to.